Powered by AMD. 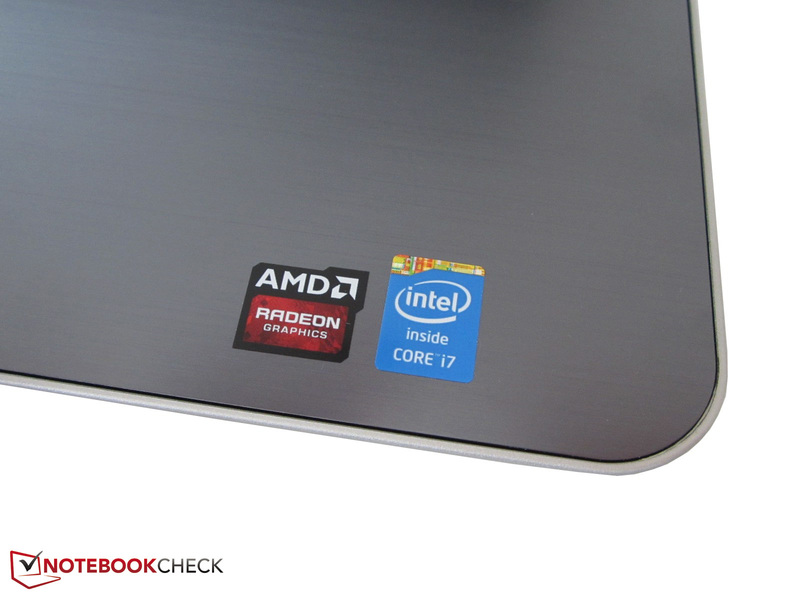 The top version of the Inspiron 17R is equipped with the rare Radeon HD 8870M. How well does the DirectX 11 chip harmonize with a ULV processor and is the performance high-end or average? Our review gives the answers. 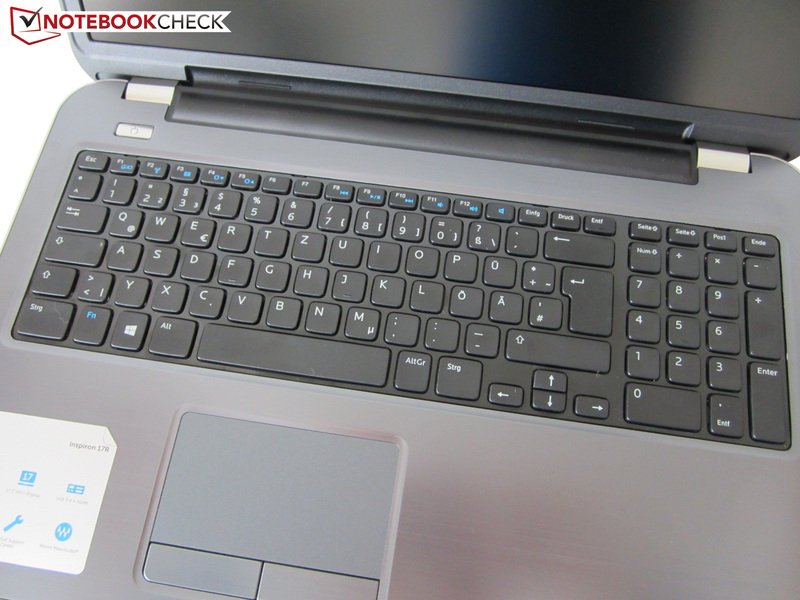 The Inspiron 17R is primarily intended for price-conscious multimedia fans. The combination of a frugal dual-core CPU and a powerful graphics card covers a wide range of applications and promises good battery runtimes as well as moderate energy consumption. There are currently three models on Dell's homepage, starting from 649 up to 849 Euros (~$885 up to ~$1158). While the GPU, the hard drive, the optical drive and the wireless adaptor are identical, there are differences in the other hardware components. 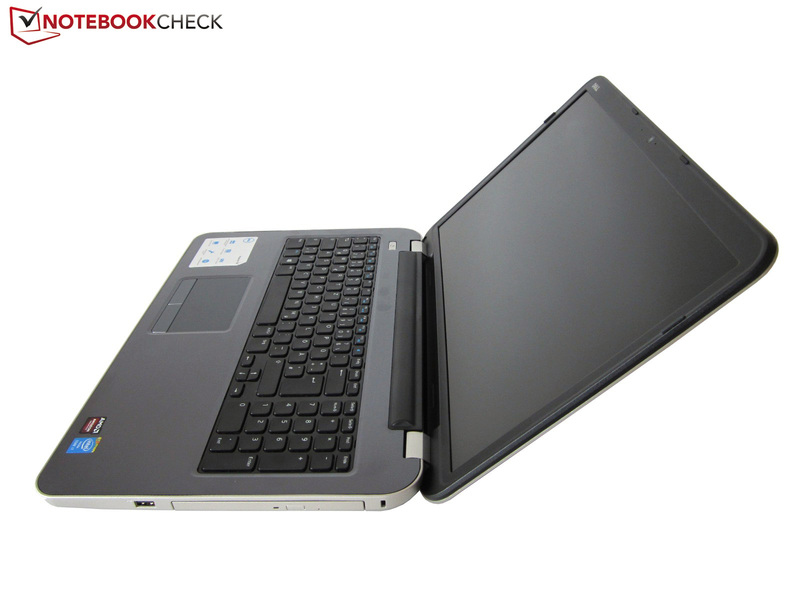 The cheapest version uses a Core i5-4200U (1.6-2.6 GHz) and a glossy HD+ screen (1600x900 pixels). For around 70 Euros (~$95) more you do not get a better display, but a faster processor. 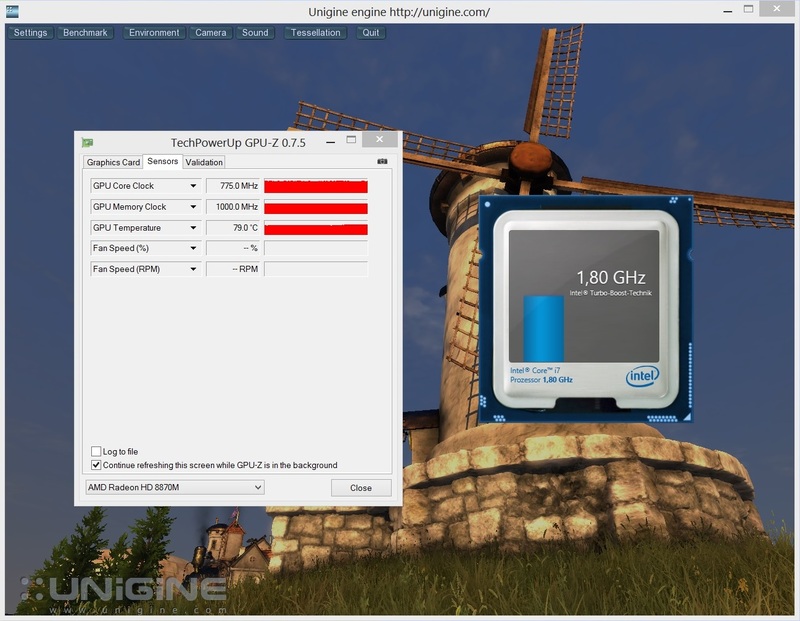 The Core i7-4500U runs with 1.8-3.0 GHz under load, which is on a decent level. Our review unit is the top version for 849 Euros (~$1158). Dell not only tries to justify the additional charge with twice the amount of memory (16 vs. 8 GB DDR3 RAM), but also with an anti-reflective Full HD display. The chassis did not change since the last generation. 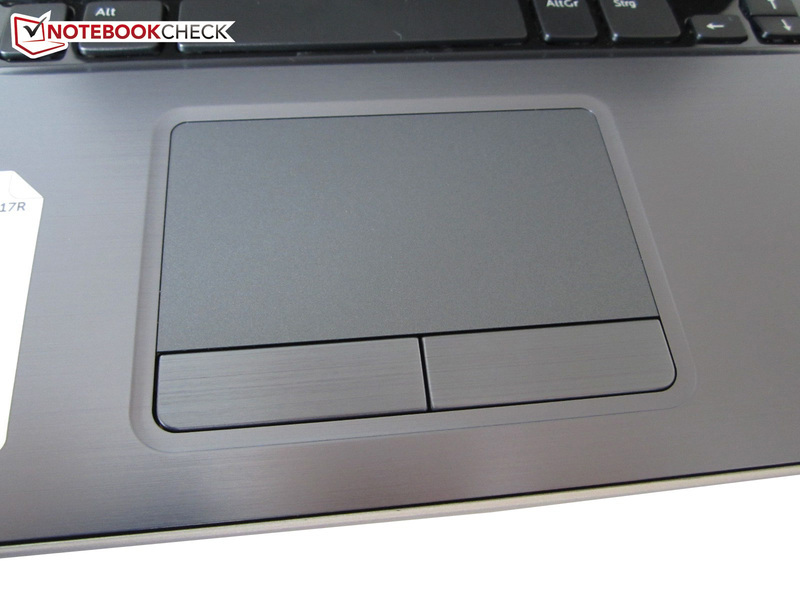 Dell deserves praise for the nice metal surfaces that cover the lid and the palm rest. Aluminum is not a matter of course for devices below 1,000 Euros (~$1364). However, the case is not completely made out of high-quality metal to keep the costs down. Besides the bottom, the outer frame of the notebook is also only made of plastic. Dirt is not really a problem thanks to the bright color scheme and the matte finish, only the glossy keyboard frame attracts fingerprints and dust particles. There is also not much criticism with the design. 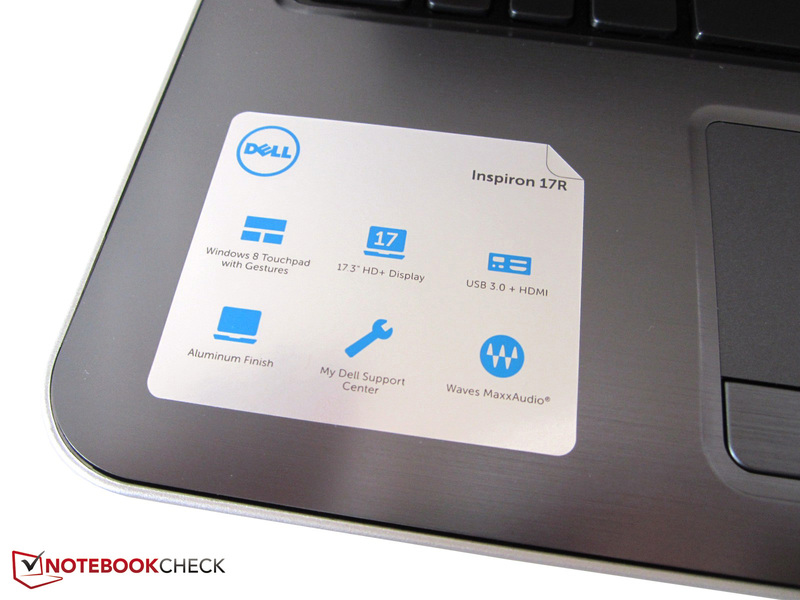 The style of the Inspiron 17R is individual yet suitable for the masses and should work for the majority of users. One exception is the battery compartment, which sticks out at the top of the chassis. The thick curvature between the hinges is not really appealing. The 17-inch device is pretty good in terms of stability, but you can dent the area around the optical drive. 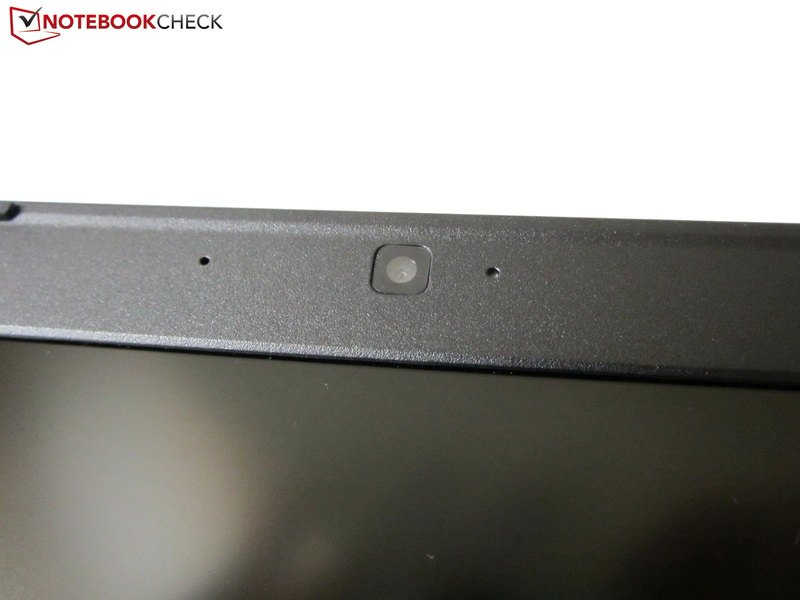 We could also find small imperfections in regard to the build quality. 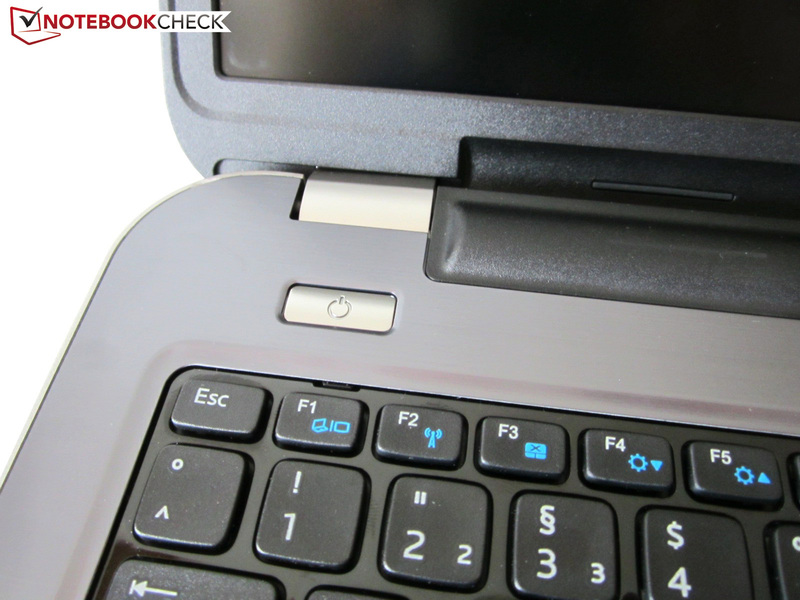 Our review unit had some slightly imprecise material transitions and gaps, wobbly touchpad buttons and some creaking sounds (strong pressure in the area of the DVD burner). We can also see the background illumination through the corners of the display frame, which should not be the case. The overall quality is, however, solid and comparable to many rivals; many of the mentioned weaknesses can only be seen with a closer inspection. Besides four USB ports (2x USB 3.0), the port variety is pretty meager. eSATA or FireWire ports are missing, just like a DisplayPort or a VGA-out respectively. You just get the standard ports with HDMI and a Kensington lock. A positive aspect is the integrated card reader at the front that, according to the manufacturer, supports eight formats (see specs on the right). A problem is the pretty aged Fast-Ethernet port; a Gigabit port should really be standard in 2014. 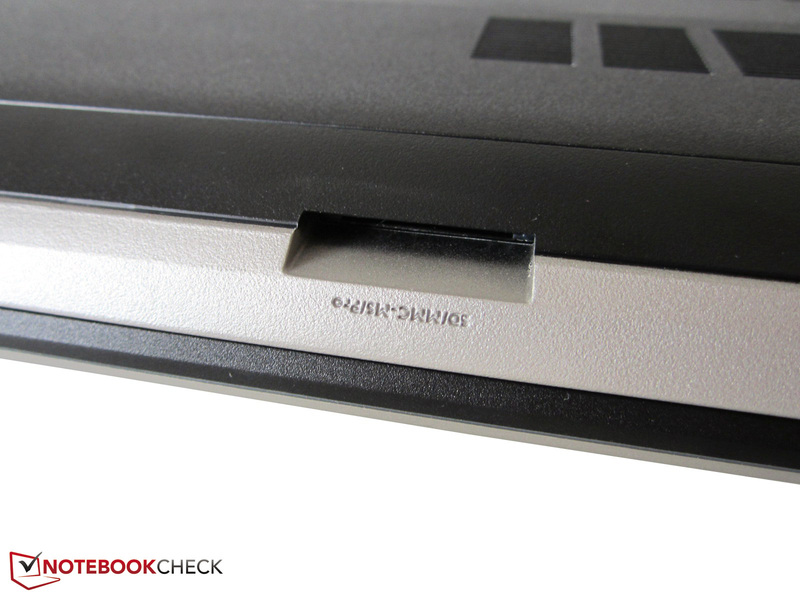 It also does not improve the rating that Dell integrates a combined stereo jack. Apropos suboptimal: The port layout is designed for right-handers and will scare off users who try to use a mouse on the left side of the case. Many attached cables can really affect the handling. The wireless adaptor has the designation Dell Wireless 1705. Besides the usual WLAN standards 802.11 b/g/n it also supports Bluetooth 4.0. The range was decent in our test but not overwhelming. The notebook had 1-3 bars with a distance of around 15 meters and through several walls. The majority of rivals perform similar in such a scenario. Maintainability of the 17R is limited. Removing the maintenance cover (two screws) gives you access to the 2.5-inch bay and the two memory slots. Fan, GPU, processor and wireless module require additional dismantling. 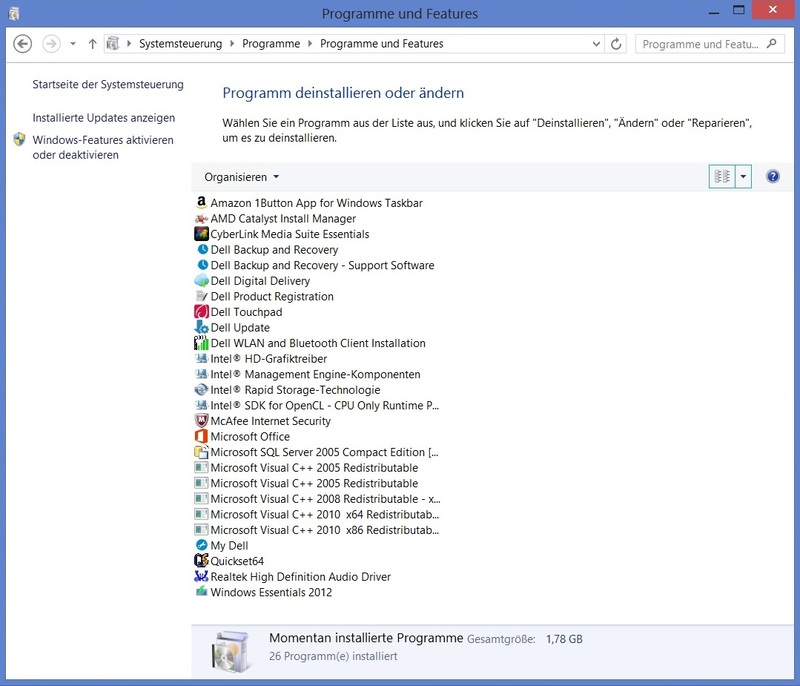 Dell is able to keep a good balance between scope and unnecessary bloatware in regard to the preloaded applications. Almost everything could be deemed useful if you ignore the Amazon app. Among others you get a trial version of Microsoft Office 365 and McAfee Internet Security; Windows Essentials 2012 and a Media Suite from CyberLink are also available. 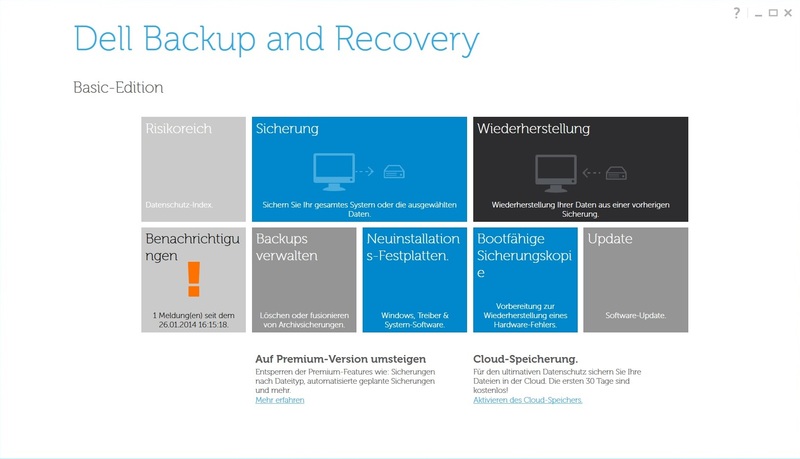 This set of applications is complemented by several tools from the manufacturer, for instance My Dell with many settings or a backup and recovery application for the system. You can also delete them if you do not use them to save some storage. The notebook reacts rather sluggishly right after the boot. The number of provided accessories is not really generous. 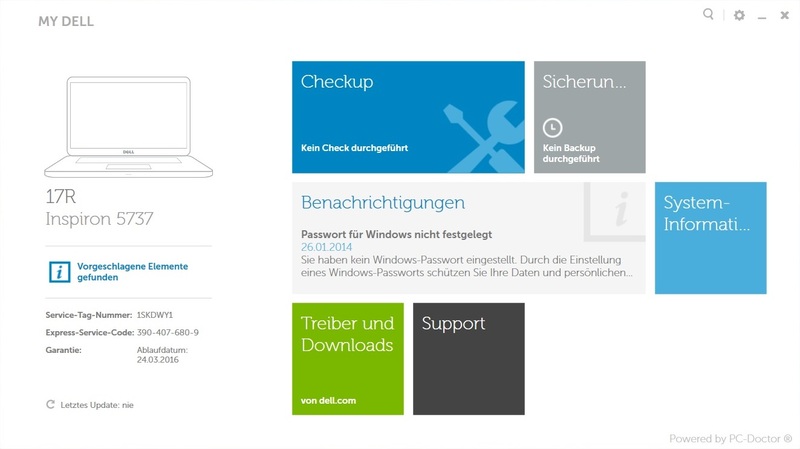 Similar to most companies, Dell only puts a quick-start guide and some information brochures (warranty information, security information, etc.) in the box. Recovery and driver DVDs are not included. 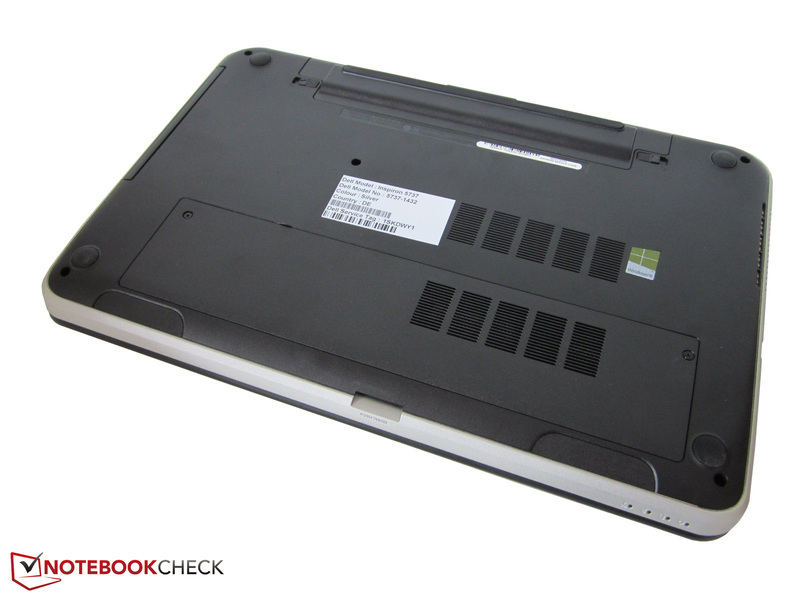 The Internet shop Notebooksbilliger.de, which supplied our review unit, specifies the warranty with 24 months. 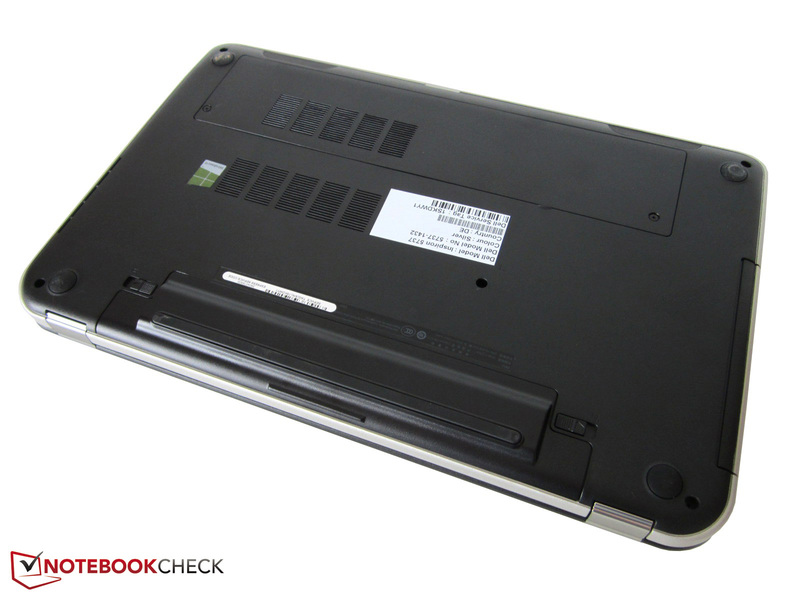 If you order the Inspiron 17R directly from the manufacturer's website, you can replace the one-year carry-in and repair service (Limited Support) with a 12- to 48-month on-site service (Premium Support). The according upgrade comes with an additional charge between 69 and 249 Euros (~$94 and ~$339). The matte black chiclet keyboard is convenient. 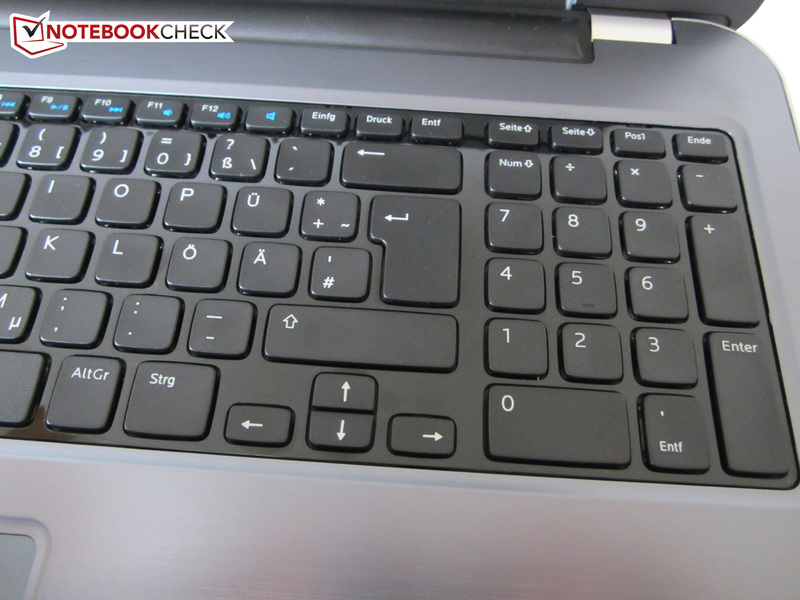 Dell decided to use 14 x 14 mm large keys with a spacing of 4 mm (only the arrow keys and the F-row could have been higher). Combined with the rounded corners and the sophisticated layout, typos are rare. The typing experience does not leave much to be desired either, even though the separate numeric keypad feels a bit soft because of the lower stability. The travel is average to limited, pressure point and stroke should suit most users. A positive side effect is the convenient typing noise; the input is very quiet compared to other keyboards. Similar to devices from the competition, you can use numerous comfort features via the blue Fn key: This includes multimedia control, display brightness and volume control as well as an activation/deactivation for the sound, the WLAN adaptor and the touchpad. Next up is the touchpad. The mouse replacement has a size of 100 x 57 millimeters and is parallel to the space bar. 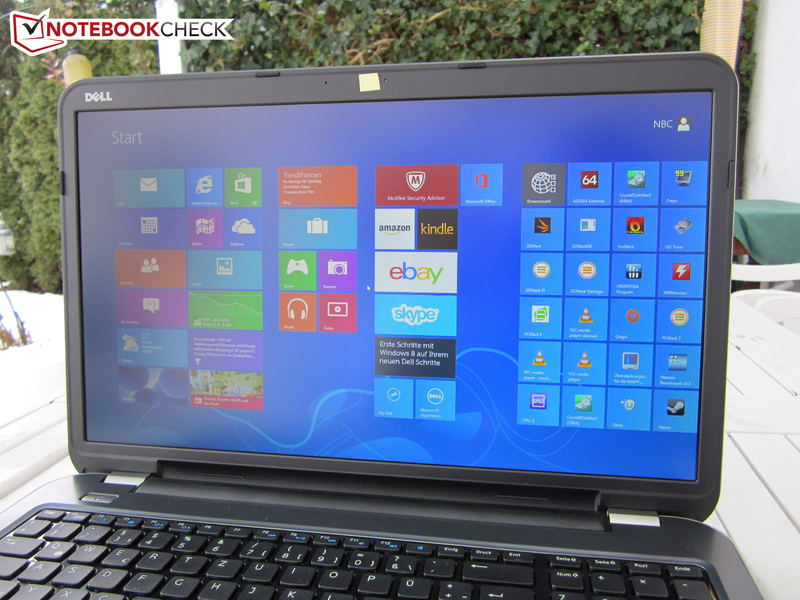 Dell slightly roughened the surface to guarantee a decent feedback. This affects the gliding capabilities but improves the feedback in return. 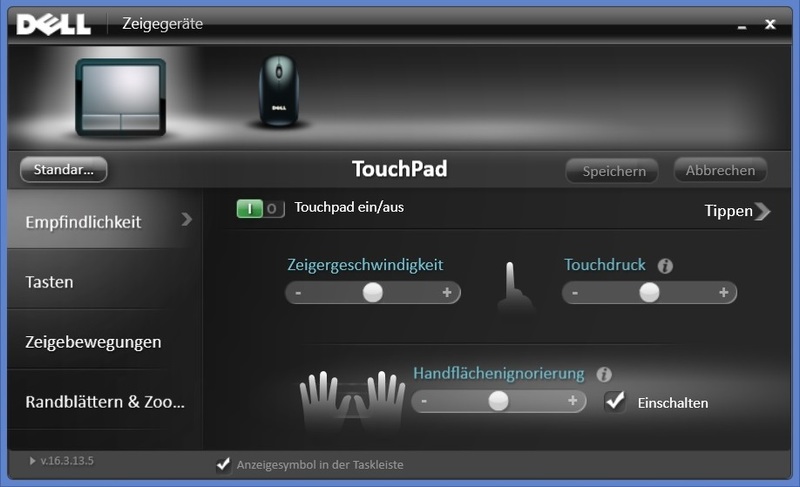 You can customize the touchpad to your personal needs with the preinstalled software. We especially want to mention the menu for gestures, which can be used for dozens of gestures (up to four inputs are recognized). Scrolling and zooming with two fingers are activated ex-works, but you will have to activate the turning functionality. 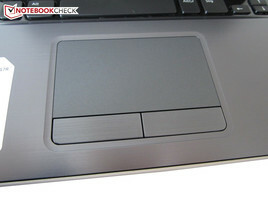 The gesture recognition of the touchpad is usually reliable and the precision is also good. Dell should, however, improve the mouse buttons, which – as we mentioned earlier – have a wobbly pressure point and therefore affect the quality impression. The matte Full HD display is one of the main arguments for the Dell. The manufacturer integrates a CMN N173HGE or CMN1720 respectively. 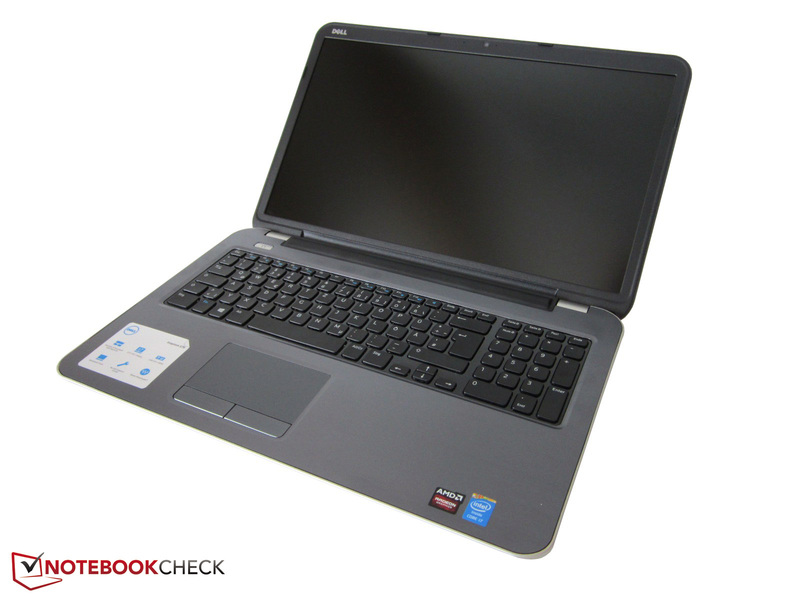 This is – for TN conditions – a high-quality panel and reminds us of the very popular Chi Mei N173HGE-L11 (for instance MSI GS70 Stealth) in regard to the designation and the specs. Neither a brightness of 324 cd/m² nor a contrast ratio of more than 850:1 were achieved by the HD+ panel from the predecessor. The display also deserves credit for the low black value of 0.4 cd/m². It should be around 0.2 cd/m² for really deep blacks, but 0.4 cd/m² is very good within the competition. 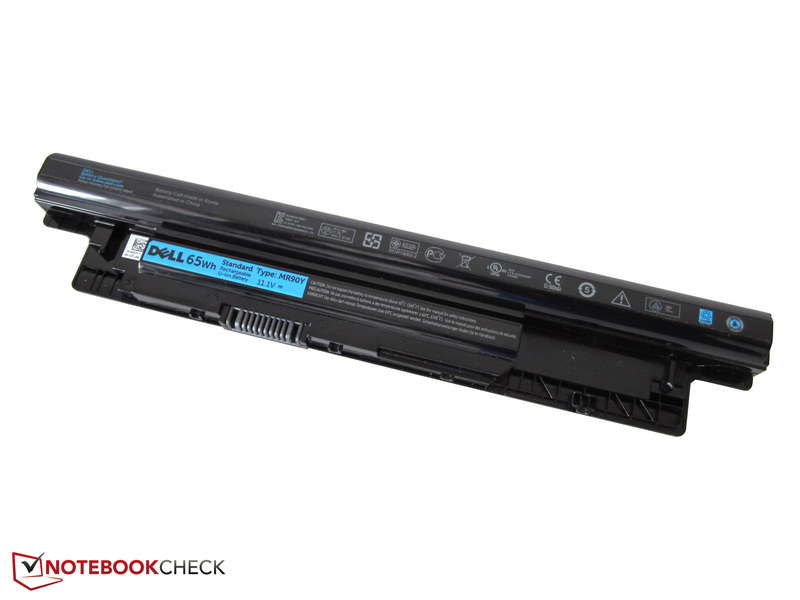 Ordinary standard panels like the JXWY4 173WD1 (Inspiron 17R-5721) are usually above 0.5 cd/m², which results in a grayish presentation. The results for the colors are not that great. 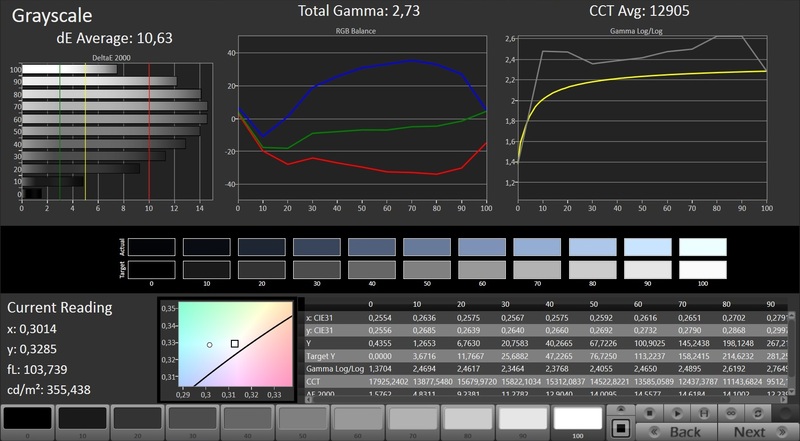 An sRGB coverage of 84% and an AdobeRGB coverage of 58% are not bad by any means, but the panel is – like most notebook displays – disappointing in regard to the grayscale presentation, gamma value, color fidelity and saturation (CalMAN screenshots). If you require a higher accuracy you will have to choose another device. However, the picture is pretty good for normal scenarios like video playback or gaming. 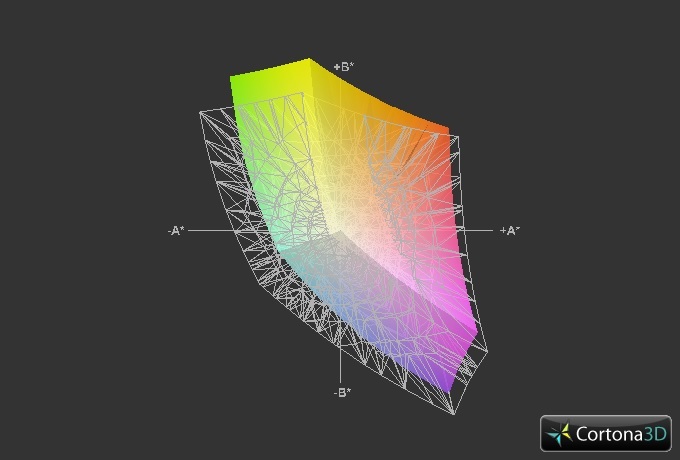 Most users should get used to the blue cast, which is typical for many notebook displays. 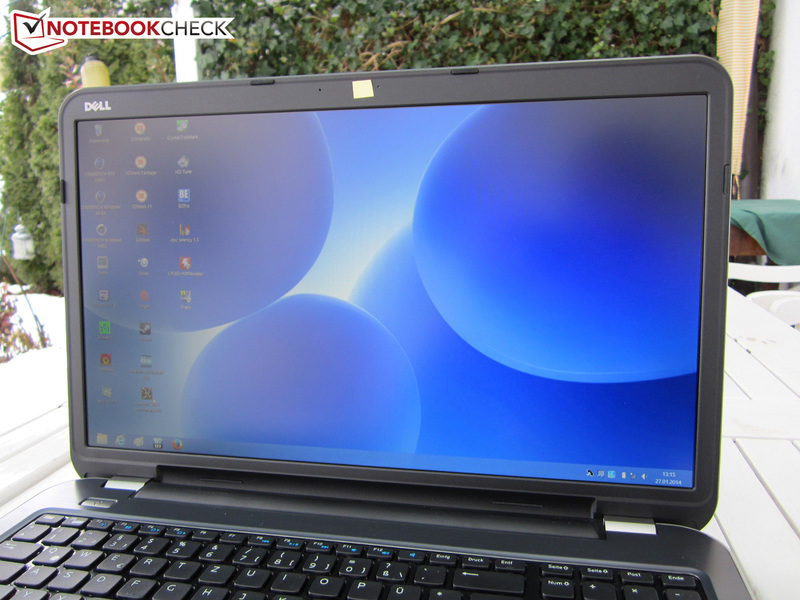 Brightness is not reduced on battery power, so the Inspiron 17R is well suited for outdoors. Our pictures show that the notebook is also usable under the sky. 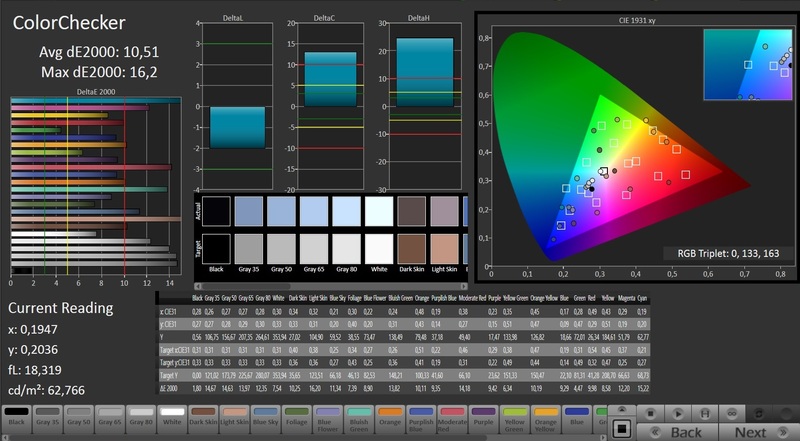 Glossy displays with a lower luminance usually have problems in this section. Viewing angles are also convincing. While cheaper TN panels often have problems with horizontal shifts, the Inspiron 17R even manages vertical viewing angles quite well (at least diagonally from above). However, it cannot be compared with an IPS panel. The Core i7-4500U is an energy-efficient ULV model, which is, contrary to other dual-core CPUs like the Core i5-4300M, specified with a TDP of 15 instead of 37 Watts. However, the L3 cache is slightly bigger with four instead of three MB. 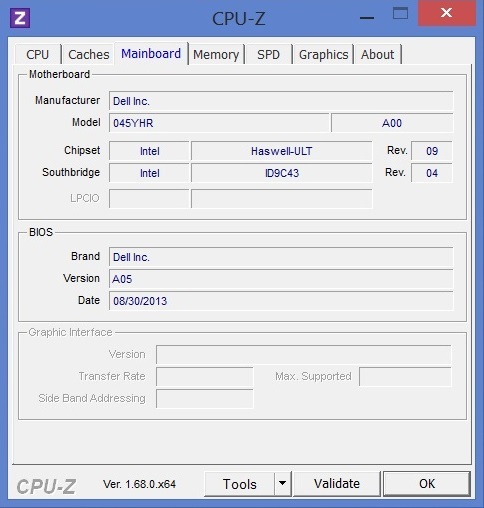 The Haswell chip is produced in a 22 nm manufacturing process. 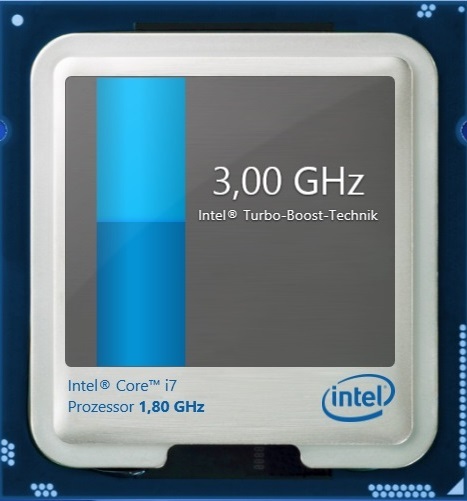 Even though the nominal clock of 1.8 GHz is rather low, the Core i7-4500U can run with up to 3.0 GHz via Turbo Boost. 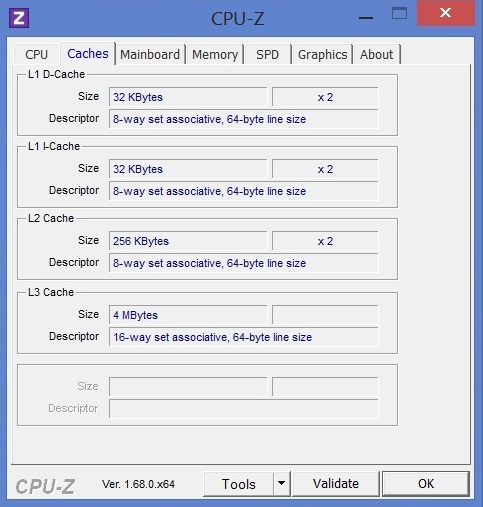 Hyper-threading even allows the processor to execute four threads simultaneously. 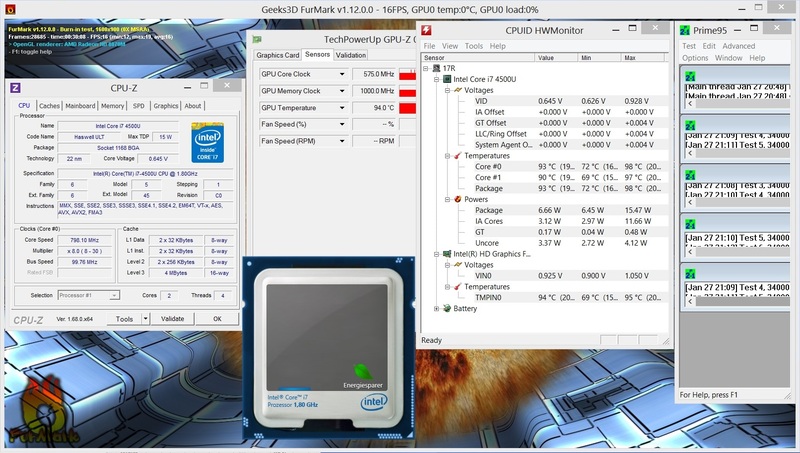 The integrated GPU from Intel has the designation HD Graphics 4400, but the performance is slightly behind standard voltage dual-core CPUs because of the lower clock (200-1100 MHz). The HD Graphics 4600 is, depending on the application, much faster. But performance or not: It is much more important that Dell integrated AMD's Enduro technology into the Inspiron 17R. It automatically switches between the integrated and the dedicated GPU, which improves the energy management and the battery runtimes. 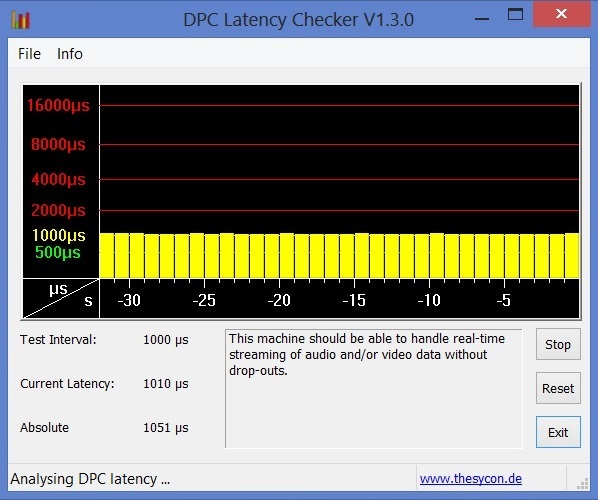 New games and 3D applications should be recognized correctly by the HD 8870M if you use current drivers. Unfortunately, AMD's switchable graphics is still not quite as good as its counterpart from Nvidia (Optimus technology) – it lacks reliability and feedback. 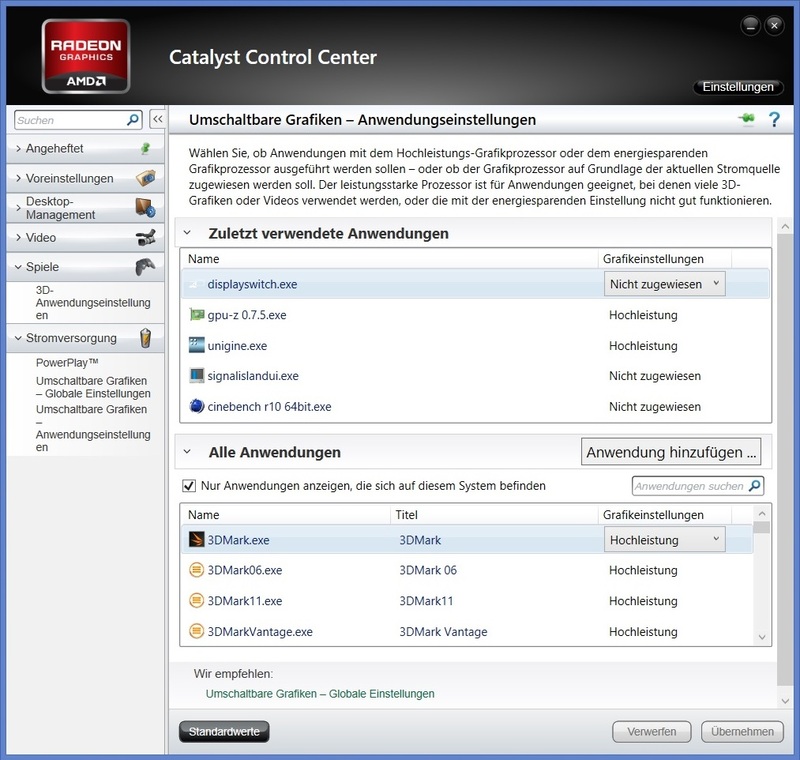 You can at least assign each program with one of the GPUs or change the global profile via Catalyst Control Center. 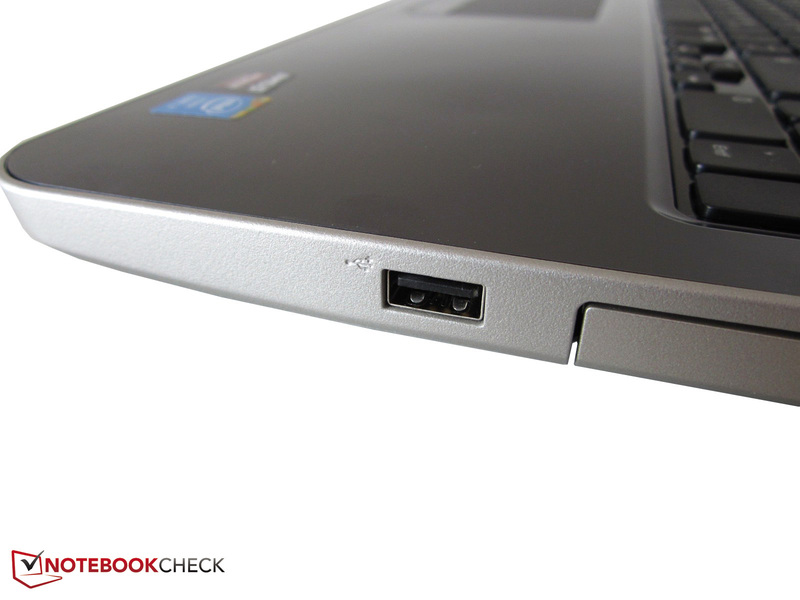 The Turbo Boost technology turns out to be the Achilles heel of the Inspiron 17R. Everything is okay if you only stress the processor with 2.5-2.9 GHz during single-core benchmarks and 2.5-2.7 GHz during multi-core benchmarks. This is below the maximum value of the Core i7-4500U, but still usable (even though the clock drops to 2.0 GHz for short periods). The problems start when you stress the GPU at the same time, which results in a deactivated Turbo after a while. 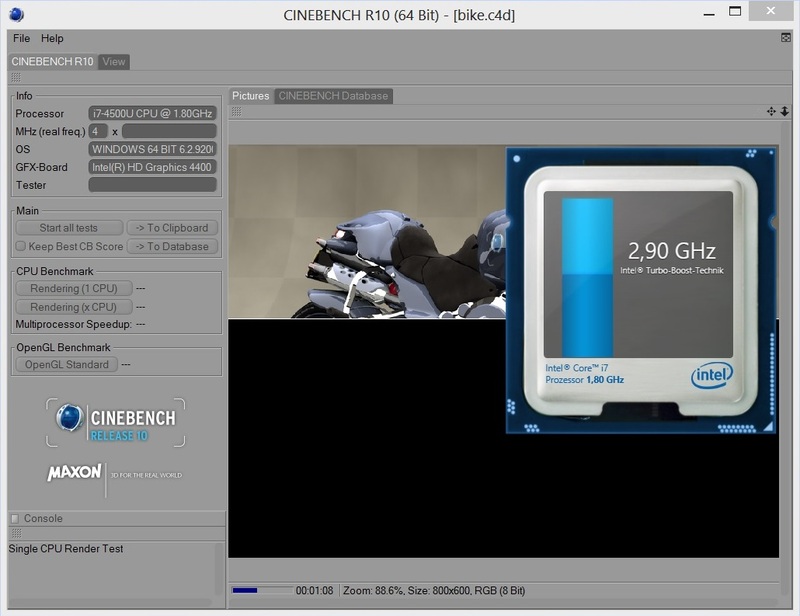 1.8 GHz can lead to restrictions in some applications, which is also supported by our gaming benchmarks. Dell should put some work into this problem if they do not want to scare off gamers. The Turbo Boost works fine during CPU benchmarks. 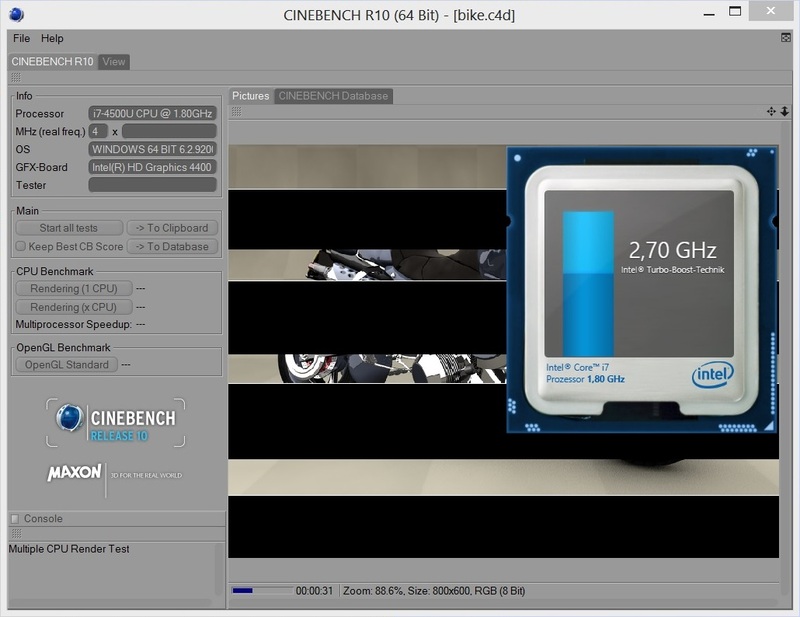 The brand-new Cinebench R15 determines a single-core result of 118 points for the Inspiron 17R. 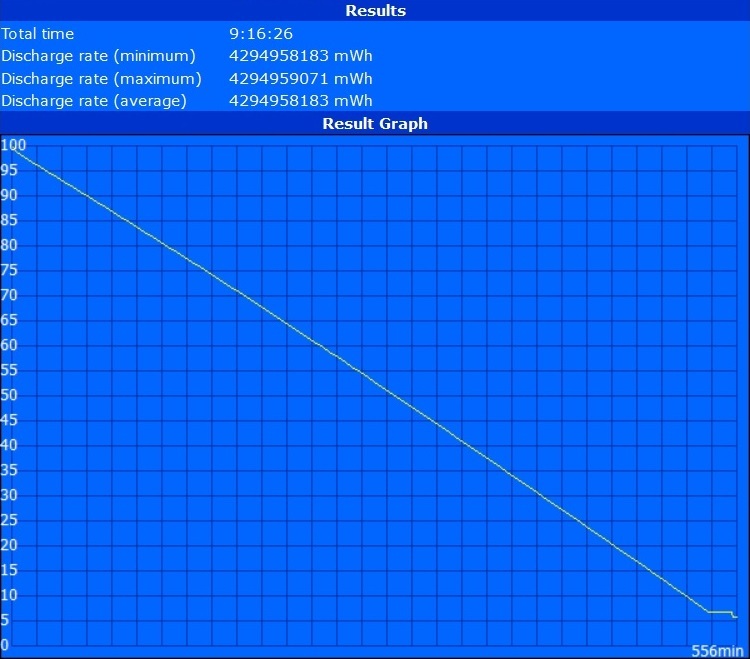 This result is just slightly below the Core i5-4200M (2.5-3.1 GHz; 122 points @Lenovo IdeaPad Z710). 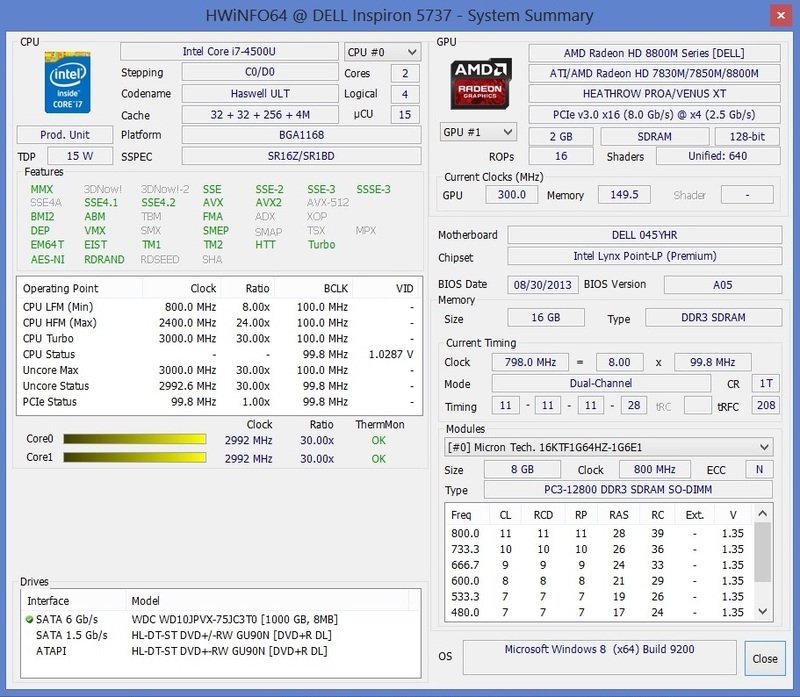 The quad-core Core i7-4702MQ with 2.2-3.2 GHz is not much faster, either (125 points @HP Envy 17-j110eg). The 22 nm chip also easily beats the weaker ULV sibling Core i5-4200U (99 points @Toshiba Satellite M50-A-11L). The multi-core test shows bigger deviations. 257 points for the Core i7-4500U is around 15% slower than the Core i5-4200M (301 points) and 55% slower than the Core i7-4702MQ (575 points). 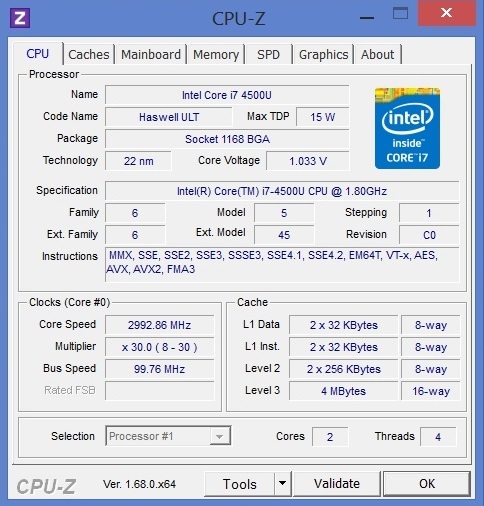 The Core i5-4200U is the slowest CPU with around 200 points. The Radeon HD 8870M is AMD's transition between the mainstream and the high-end range. 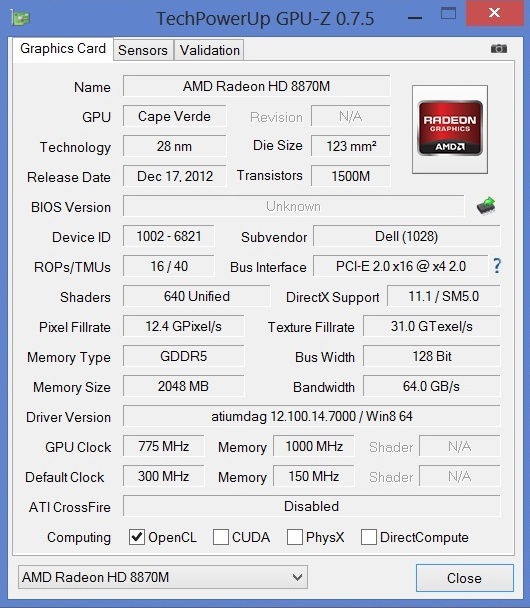 Given the shader units, you could speak of a halved Radeon HD 8970M. The current top version based on the GCN architecture (will be replaced by the R9 M290X soon) has 1,280 instead of 640 shaders. Further limitations of the HD 8870M are the core clock (725 vs. 850 MHz), the memory interface (128- vs. 256-bit) and the memory size (2048 vs. 4096 MB). However, the DirectX11 version is also smaller, more frugal and easier to cool in return. The core clock can be increased up to 775 MHz during 3D applications via PowerTune, which is similar to Intel's Turbo Boost technology. Our measurements confirm the feature (even though the clock fluctuates between 725, 755 and 775 MHz). We already know that the performance is similar to the old GeForce GTX 660M from our review of the Samsung 770Z7E. 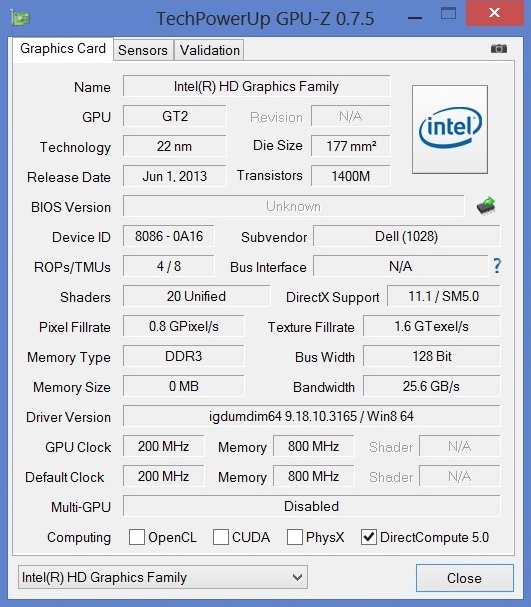 Our review unit used the driver version 12.100.14.7000 (according to the tool GPU-Z). There can be problems in some games (see section Gaming Performance), so we recommend an update. While some CPU scores of the GPU benchmarks are clearly affected by the deactivated Turbo, there are no significant disadvantages in regard to the GPU scores. Let's have a look at 3DMark 2013: Thanks to 2,127 points for the Inspiron 17R in the Fire Strike test, the AMD GPU has no problems beating a GeForce GT 740M that only manages half of that (1,141 points @Toshiba Satellite M50-A-11L). The result meets the average result of a GT 750M with GDDR5-VRAM (1,877 points @Dell Inspiron 15-7537) and a GTX 760M (2,271 points @MSI GE40). The differences slightly change in the Unigine Heaven 3.0 benchmark (1920x1080, tessellation normal). 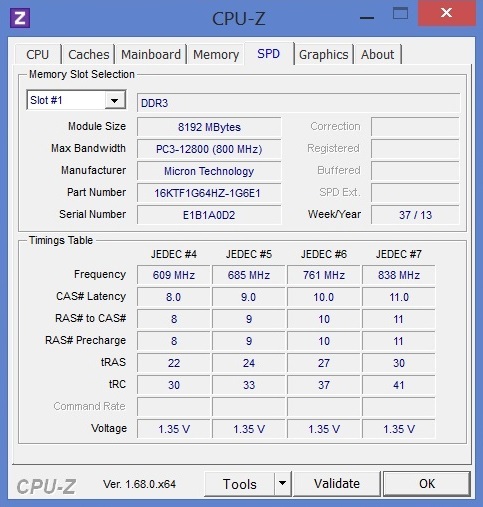 The HD 8870M with 25.4 fps is still ahead of the GT 740M (14.4 fps @HP Envy 15-j011sg) and the GT 750M DDR3 (22.3 fps @One K56-3F), but it cannot keep up with the GTX 760M (34.1 fps @Gigabyte P34G). 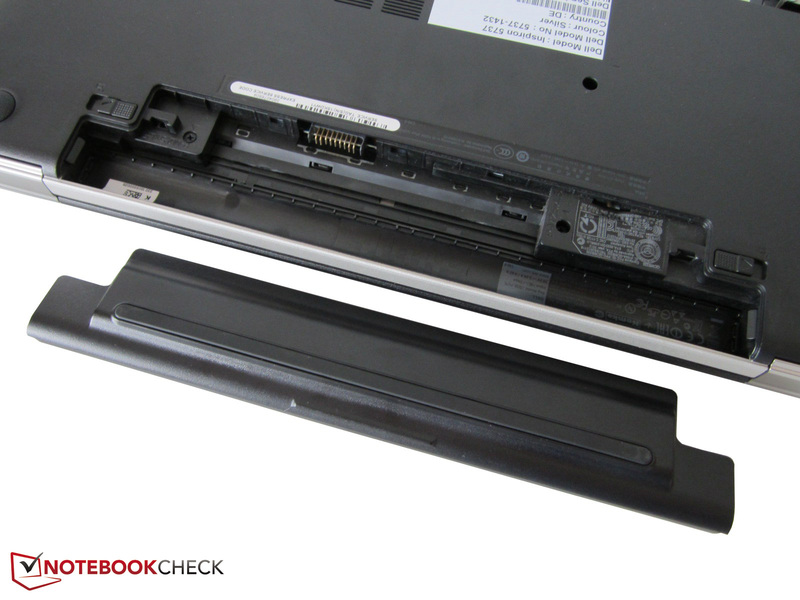 Overall we can confirm a good price-performance ratio for the Inspiron 17R. 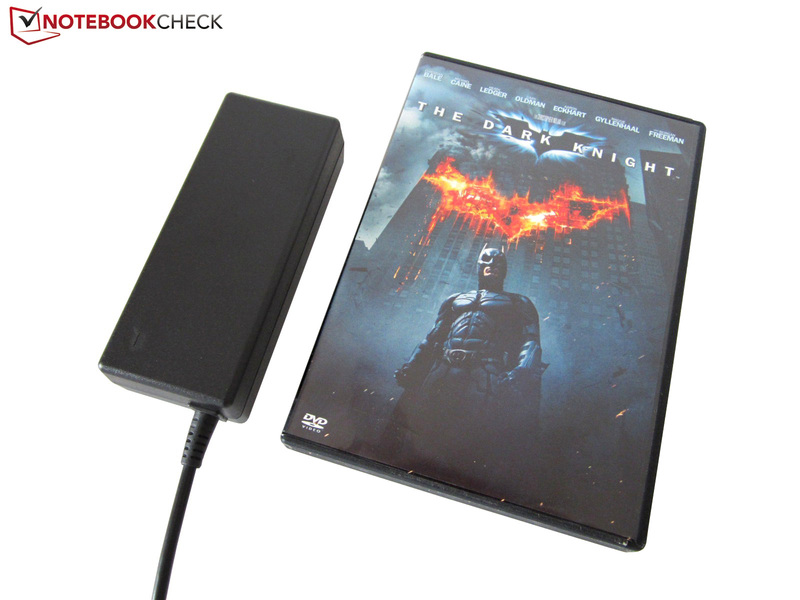 Despite the generous size, the device only has one 2.5-inch drive bay. Dell equips it with a 1,000 GB hard drive from Western Digital. 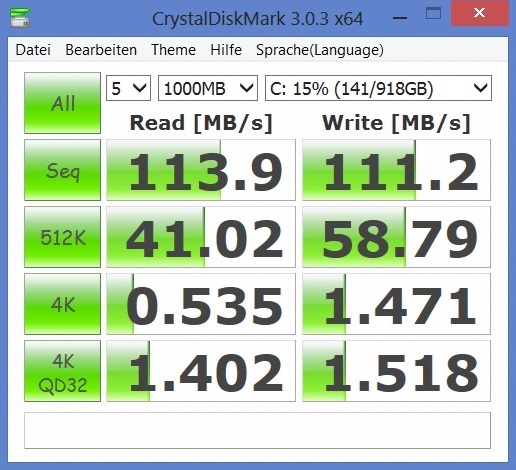 The WDC Scorpio Blue WD10JPVX-75JC3T0 is one of the fastest drives with 5400 rpm, even some 7200 rpm drives cannot keep up with the sequential transfer rates (read and write) of more than 110 MB/s. 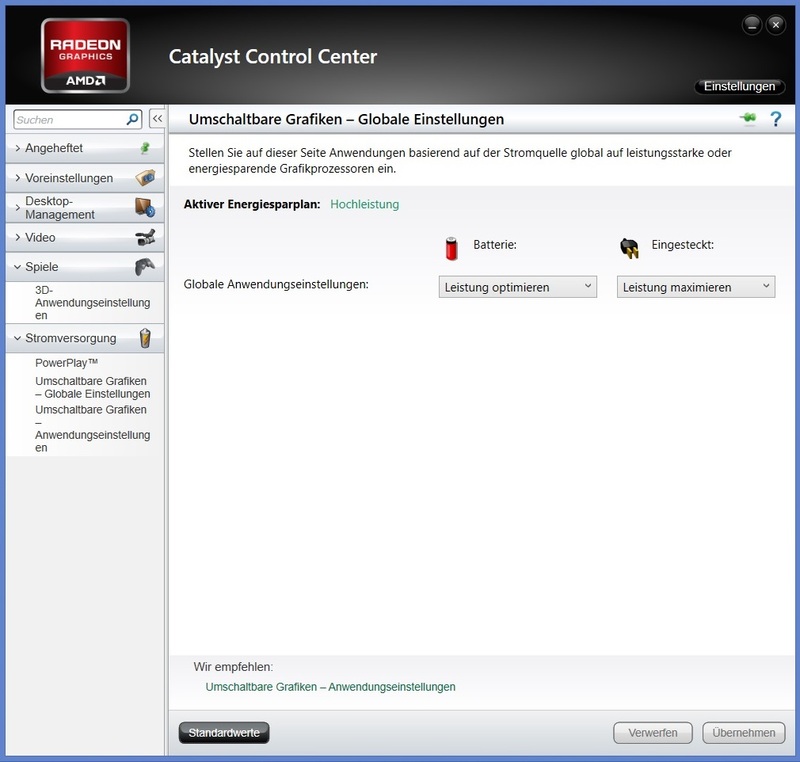 Normal Windows operation does, however, quickly show the limitations of the conventional drive. Many actions take much longer than with a modern Solid State Drive because of the low speed with small data. 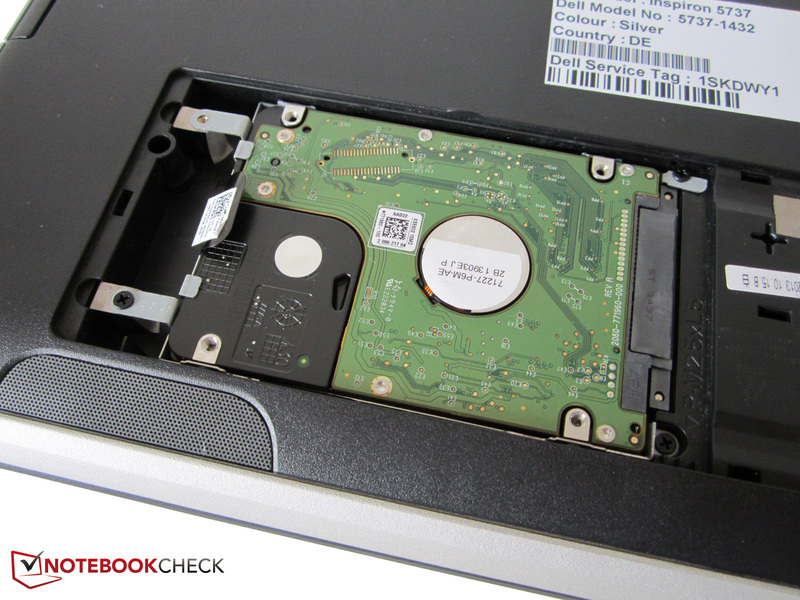 You should ditch the HDD in favor of an according 2.5-inch SSD if you can afford it. Cloning and transferring the operating system is another topic. Dell should at least have integrated an mSATA slot or offer an SSD upgrade ex-works. 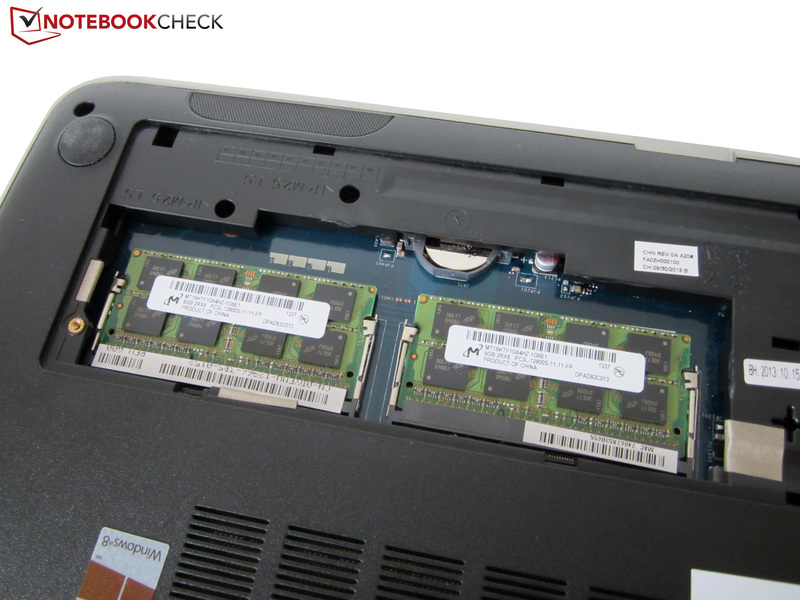 The lack of a Solid State Drive is also confirmed by the system benchmarks. 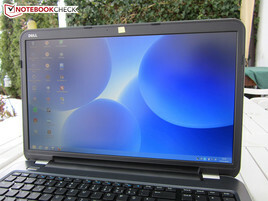 3,222 points in PCMark 7 deny the Inspiron 17R access to the high-end range. 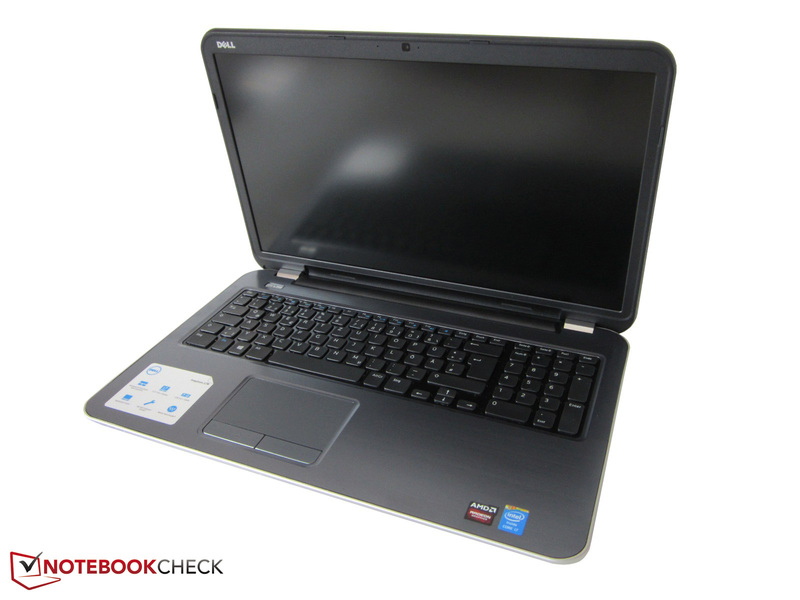 The performance is, however, sufficient for an attractively priced multimedia notebook. 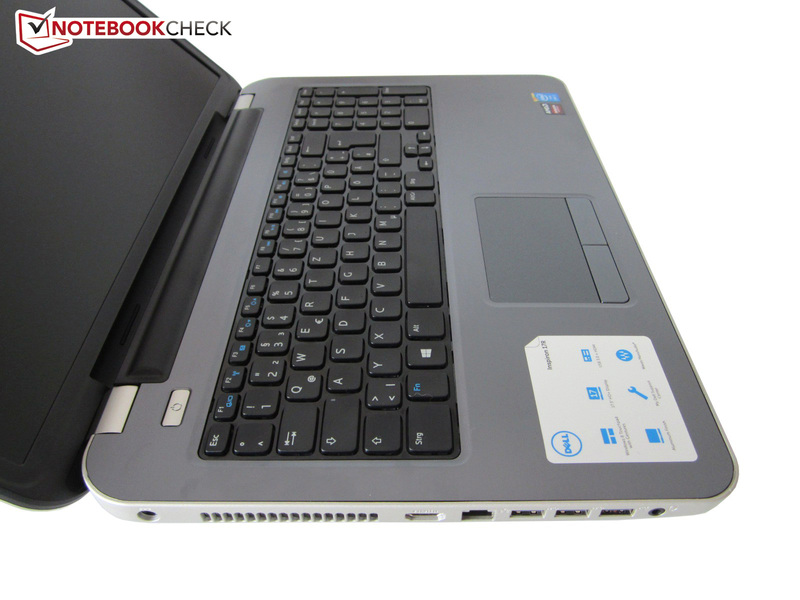 Similarly priced rivals like the HP Envy 15-j011sg (3,218 points) or the HP ProBook 470 G0 (3,254 points) are on a similar level. The gaming performance varies considerably. As you can see in the gaming chart, the HD 8870M is quickly brought to its limits with newer titles. A combination of 1920x1080 pixels, (very) high details and activated anti-aliasing usually results in unplayable frame rates. Using 1600x900 or 1366x768 pixels is much better for the GPU, even though you should not exaggerate anti-aliasing or the level of detail with these resolutions, either. The extreme scenario, when the low CPU clock reduces the performance, will require minimum settings (for instance Assassin's Creed IV). However, less complex titles like FIFA 14 are no problem for the DirectX 11 chip. 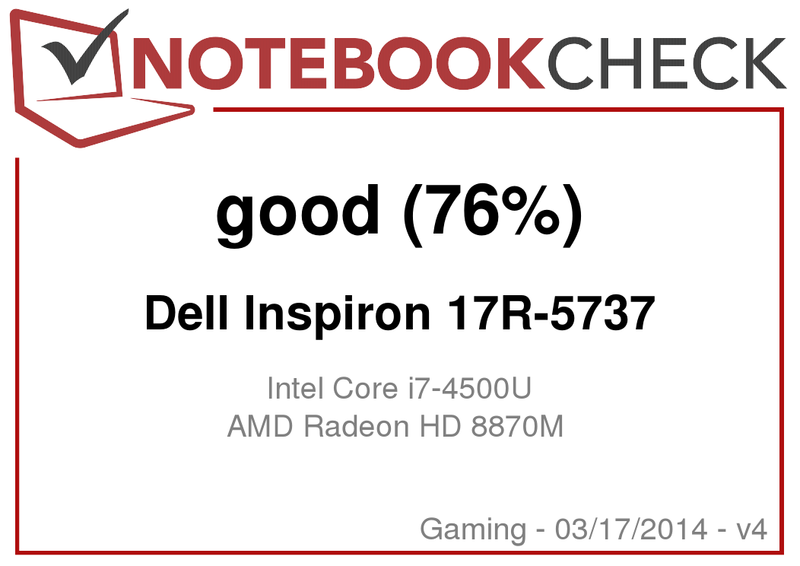 All in all, the performance of the Inspiron 17R is only sufficient for occasional gamers. F1 2013 refused to work after the first start (the application only ran in the background, but was not correctly launched). This bug is not unusual for AMD graphics cards. Call of Duty: Ghosts did not harmonize at all with the Inspiron 17R. 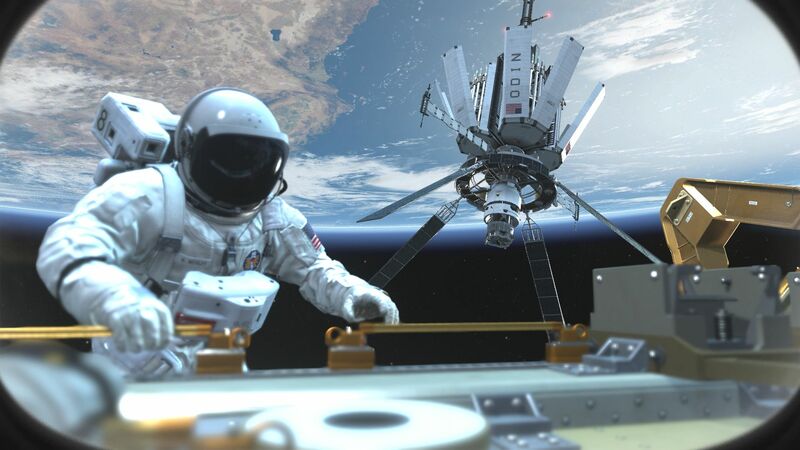 The frame rate regularly dropped to 0 fps, independent of the settings. Besides a GPU driver, the comparatively bad PC/AMD optimization could be the problem. The deactivated Turbo of the Core i7-4500U can have a significant effect on the performance in CPU heavy games, which reminds us of the MSI GX60/GX70. The system noise is very important for many users – not surprising since you want to have a quiet device during typing, web browsing or gaming. 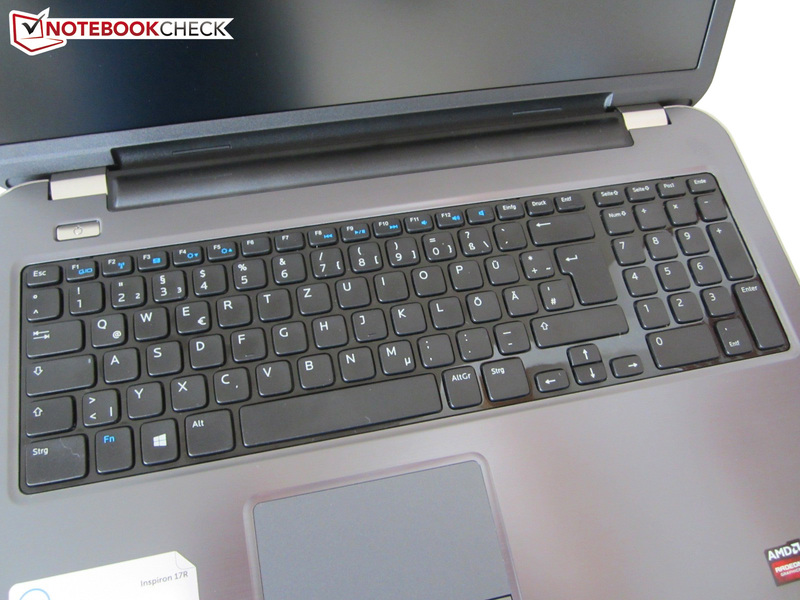 The Inspiron 17R leaves mixed impressions in this category. While the notebook is pretty quiet during undemanding tasks, it is clearly audible with higher loads. 3DMark06, which is the base for our 3D operation, resulted in 44 dB(A) after a little while. 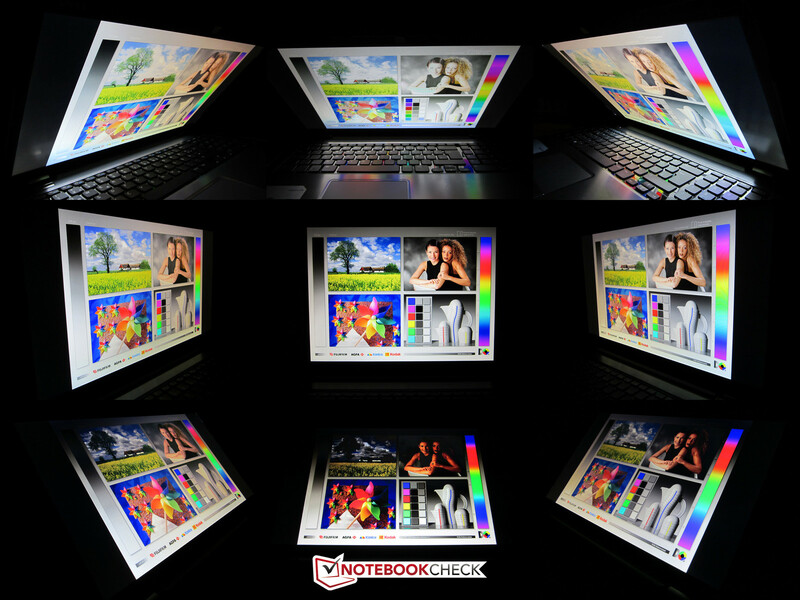 This is a pretty high value for a multimedia notebook that is only equipped with a ULV processor. Another problem is the occasional annoying buzzing of the fan. The 43 dB(A) during our stress test is a result of the throttled hardware, which we will have a closer look at in the following sections. There is no reason for criticism during idle and the fan is even completely deactivated during longer idle periods. 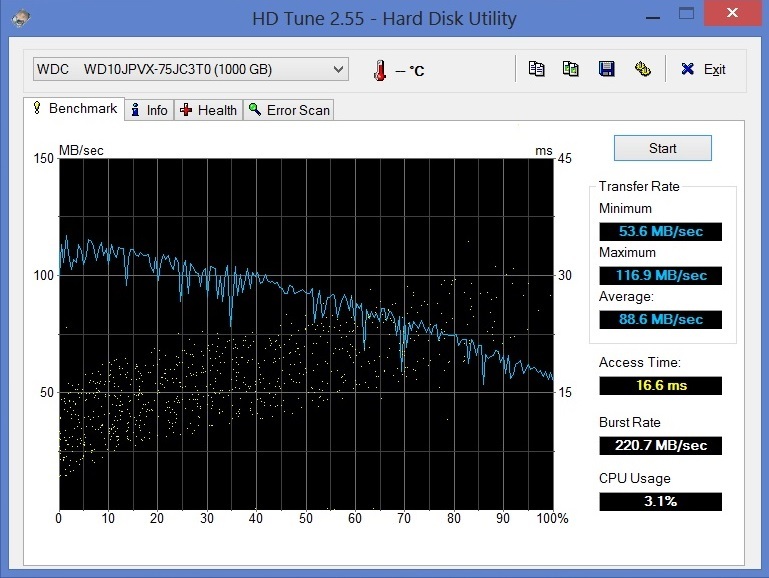 You can then only hear a quiet noise from the hard drive when you access it (32-33 dB(A)). The enormous temperature development is another sign for the limited cooling performance. 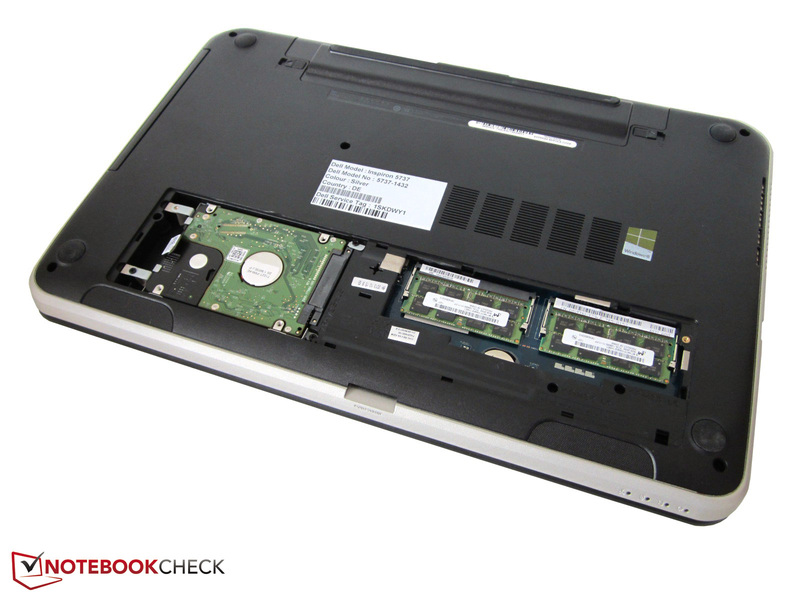 The notebook only warms up to a moderate 26-31 °C during idle, but the surfaces get really hot under load. 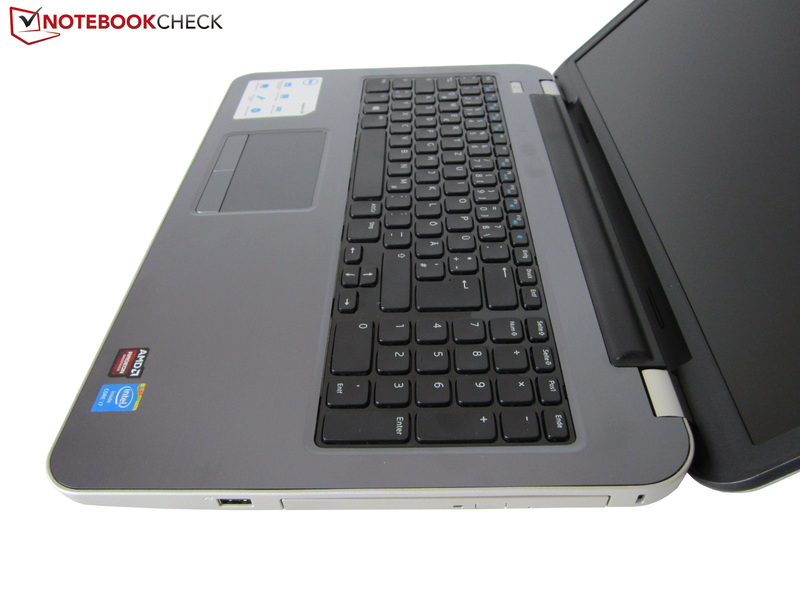 A maximum temperature of 51 °C (around the fan) could also be the result of a real high-end notebook. Up to 42 °C in the area of the palm rest is not perfect either. Another critical issue is the temperatures of the components. Despite a temporary CPU throttling to 800 MHz and a GPU throttling to 575 MHz, both the Core i7-4500U and the HD 8870M can exceed 90 °C under maximum load. The situation would be much better with a more powerful cooling solution. The temperatures in the current situation are not perfect by any means. The sound quality tries hard to compensate for the previously mentioned problem. 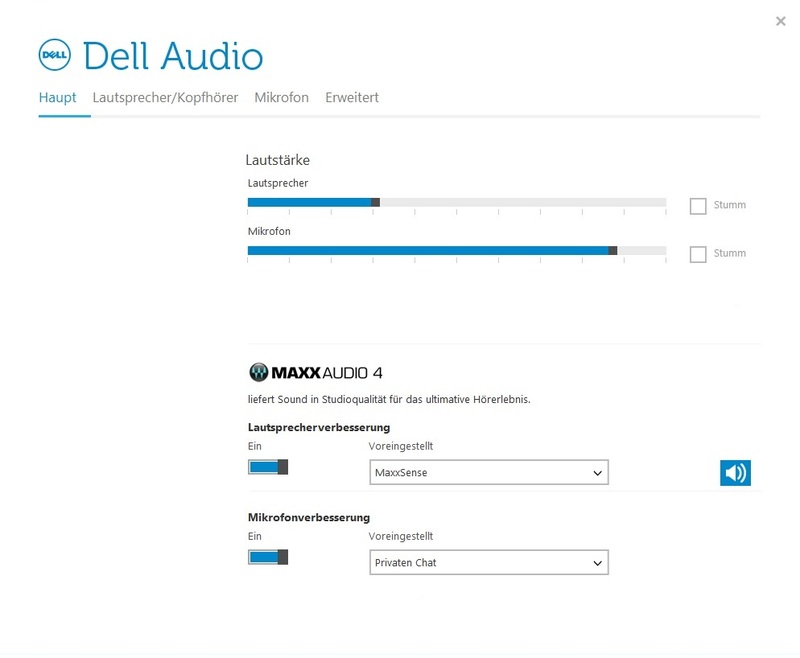 Dell integrates two stereo speakers at the front that not only have good maximum volume, but also convenient software. The most important part is the MaxxAudio 4 technology, which improves the sound quality. You can select between different profiles (movie, music, voice, gaming etc.) that clearly have an effect on the sound. 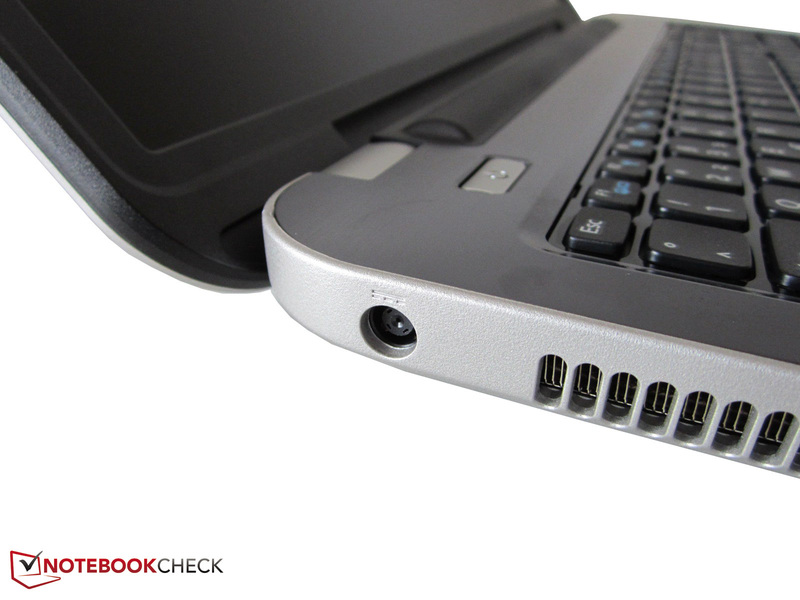 The lack of a subwoofer is not a huge problem for the Inspiron 17R because the speakers already do a fairly good job. All in all, the performance of the speakers is above average. The majority of the rivals are worse, but it is not enough for the reference. It is not really surprising that the 2.0 system sounds a bit tinny. The frugal ULV processor not only provides long battery runtimes but also moderate energy consumption. 4.6-17.6 Watts during idle can be compared with the thin 17-inch sibling Inspiron 7737, which tries to attract customers with a Core i7-4500U and a GeForce GT 750M. The values are similar during 3D applications. We could measure almost 64 Watts in the first scene of 3DMark06 (62 Watts @Inspiron 7737). The maximum consumption is reduced from 88 to around 70-75 Watts as soon as the CPU is throttling under maximum load. Even though the battery capacity of 65 Wh does not win any prizes, the 17-inch device manages surprisingly good battery runtimes. 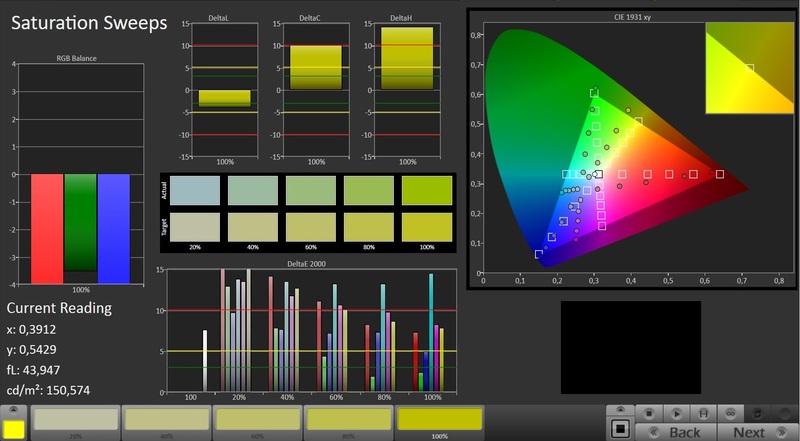 A minimum value of 120 minutes (high load, 100% luminance) is as respectable as a maximum runtime of around nine hours (low load, lowest brightness setting). Wireless web browsing with around 50% luminance is possible for little more than 5.5 hours. This is a good result and also beats most of the rivals. The same applies for 3.5 hours movie playback. Multimedia notebooks with a standard voltage CPU instead of a ULV model usually manage less (for instance the Asus N750JV). 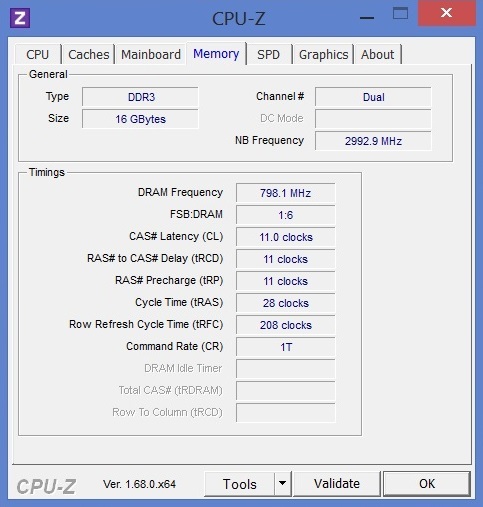 The choice of a processor with a TDP of 15 Watts is a blessing and a curse at the same time. On the one hand you get good results for the energy consumption and battery runtime; on the other hand it is very disappointing that the dual-core cannot always utilize its full performance. The reason for that should be the suboptimal cooling solution. As we demonstrated in the course of our review, the all-rounder has serious problems dissipating the heat under load. 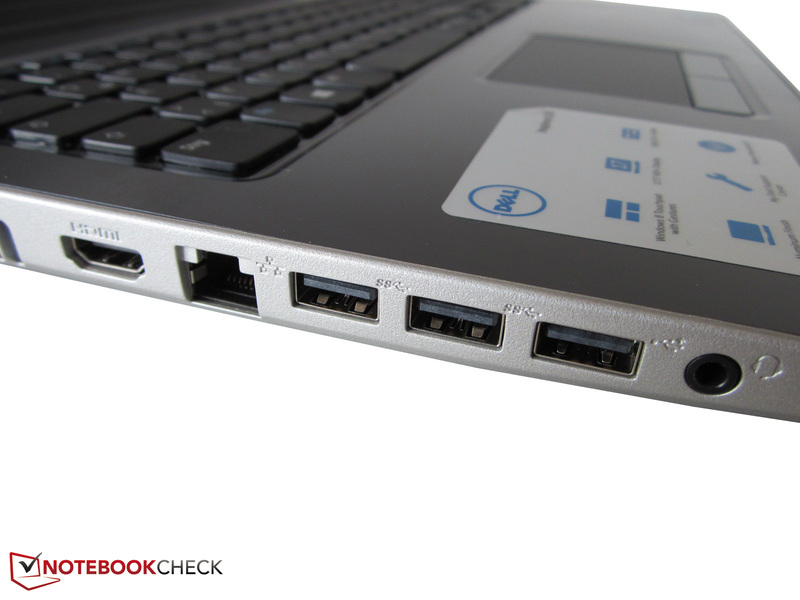 Dell should also improve the port variety and layout as well as the maintainability. Some users would certainly appreciate it if they could clean the fan. Dell does a good job otherwise. The noble (even though pretty heavy) 17-inch case can convince with a bright and high-contrast display and does not really attract dirt. There are also no bigger problems with the keyboard and the touchpad. We can recommend our review unit for the retail price of 850 Euros (~$1159). 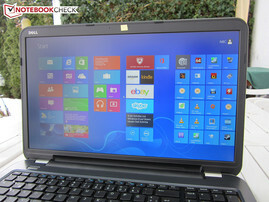 In Review: Dell Inspiron 17R-5737. Review unit courtesy of Notebooksbilliger. The metal surfaces give the notebook a noble appearance. Some elements are only made of plastic. The maintenance cover is pretty small. 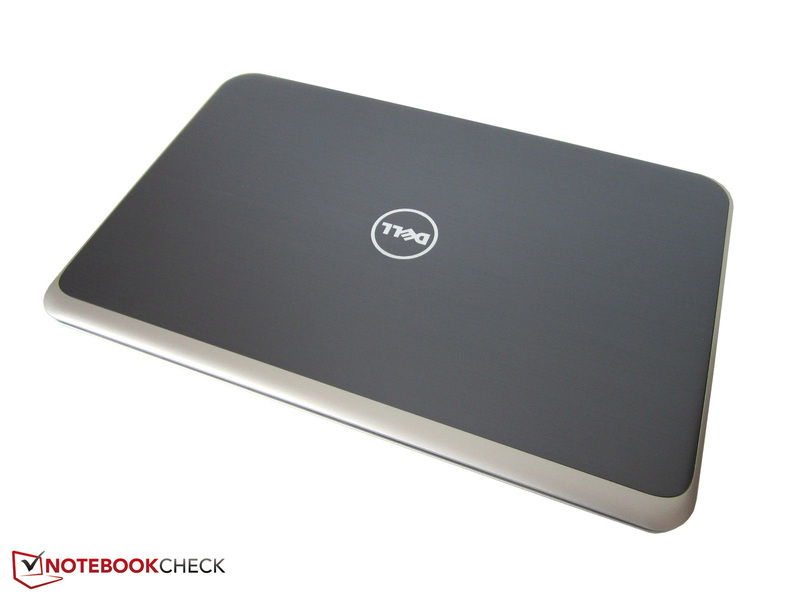 The Inspiron weighs quite a lot for an all-rounder. The maximum opening angle should be sufficient for most users. Dell waived illumination for the most part. The build quality meets the price of the notebook. Bright and dark colors create a nice contrast. The overall design is nice. Only the thick battery compartment affects the overall impression. 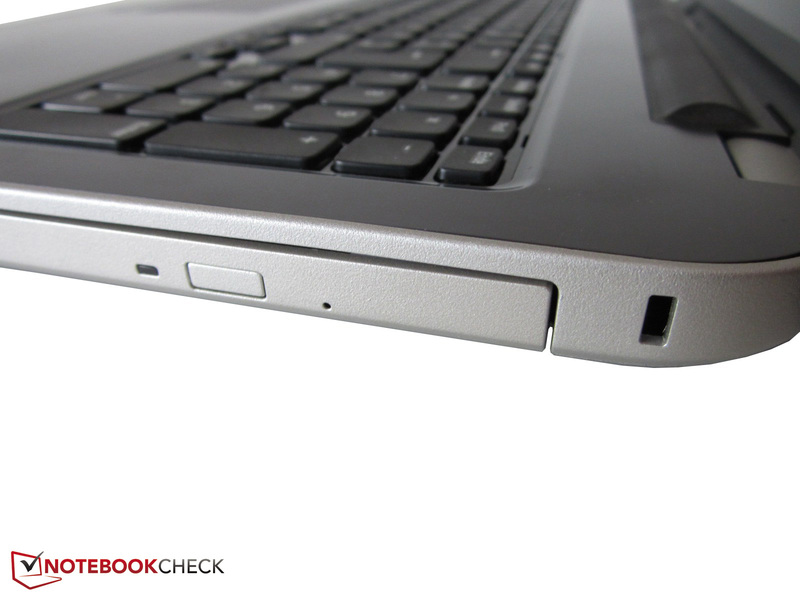 The 17-inch device hardly attracts any dirt thanks to the matte finish. The notebook has a reasonable stability. You can only access the hard drive and the memory. Two DDR3 RAM slots for up to 16 GB. An SSD would improve the performance. Removing the battery is tricky. 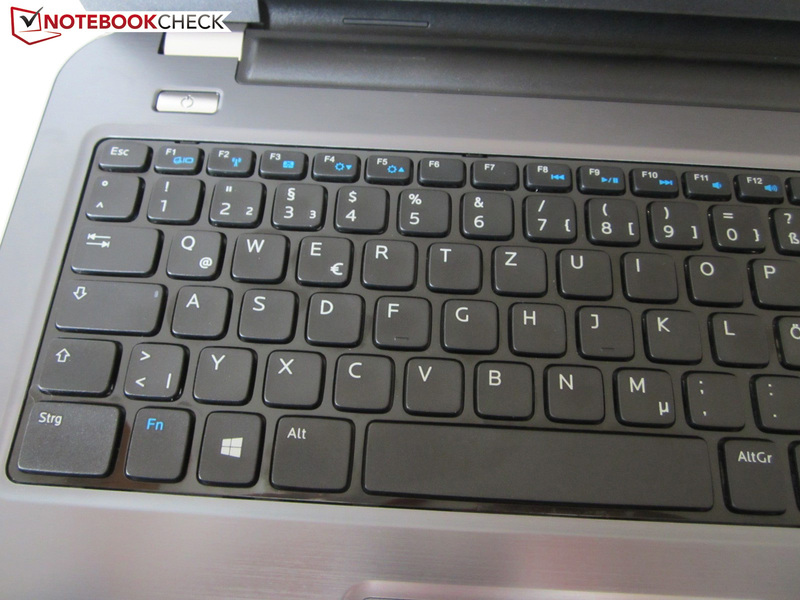 The chiclet keyboard has a sophisticated layout. Unfortunate: The power button is not illuminated. The arrow keys could have been bigger. 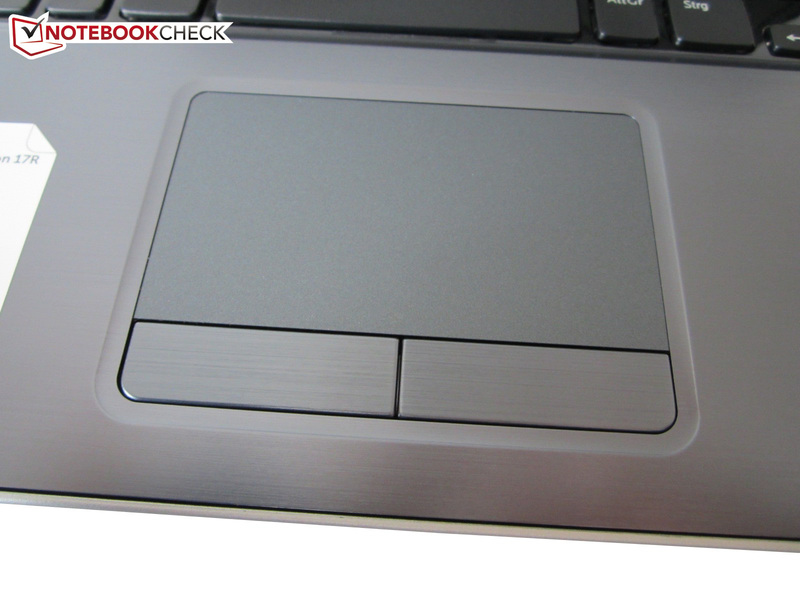 The touchpad has a good surface. The top version uses a Full HD display. AMD and Intel products are rarely combined. The connectivity includes four USB ports. An optical drive is also available. The power connector is next to the fan exhaust. Only one audio port? A bit meager. The card reader supports eight standards. The battery is attached to the rear. 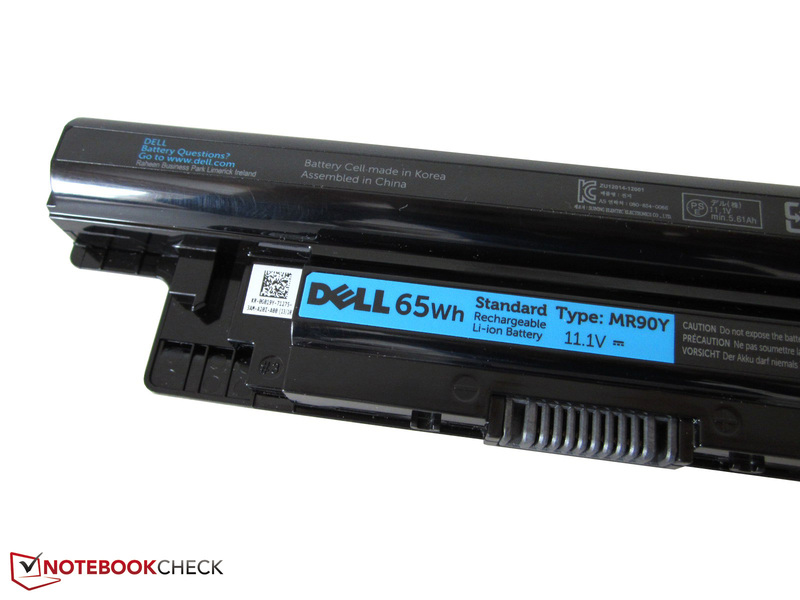 Dell provides a 90 Watts PSU. 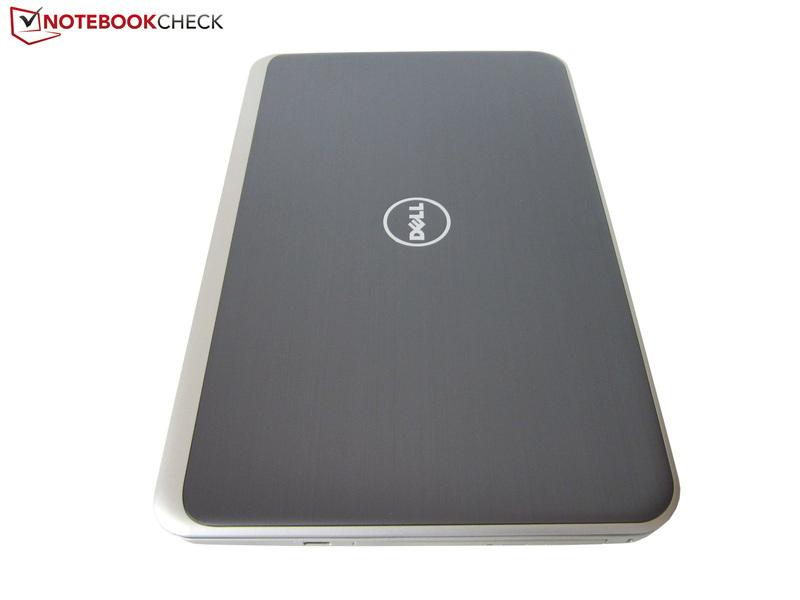 The design of the Inspiron 17R is nice and the long battery runtimes will inspire many users. A ULV processor without Turbo during 3D applications? Very annoying. The picture quality is surprisingly good for an 850 Euros (~$1159) notebook. All-round notebooks with a ULV processor and a powerful mainstream GPU like the Acer Aspire V5-573G, Acer Aspire V7-582PG, Dell Inspiron 15-7537, Dell Inspiron 7737 or Gigabyte U24T (each GT 750M).